As we enter the month of May, I know a number of you will be planning graduation parties from high school or college. It really is an important occasion to celebrate. Your student has worked so hard for a number of years to get to this point. Why not make it memorable? In Good Taste Catering & Events by Stacey has planned a number of graduation parties and the key is to make it personal. Make a list of your student’s favorite colors, food, and activities. It’ll easily transform into the kind of party that your students won’t forget. #1 Create your color theme from your student’s favorite colors or the colors for the college they will be going to. #2 Create the theme from one of your student’s favorite activities or soon to be favorite activity such as if your student is going to be a Nole at Florida State University, you could make the theme like a tailgating party. You could have a corn hole tournament and the food could consist of gourmet chicken wings, delicious pasta salad, Carolina style pulled pork sliders, and much more! #3 Blow up photos of your student from grades K-12 to bring a more personal aspect to the party. #4 Hire In Good Taste Catering & Events by Stacey to be creative for you so you can enjoy the great event! Over the past 20 years of being a successful caterer in South Florida, I have encountered this problem on a handful of occasions. Caterers plan everything according to the number of guests attending an event. Everything from how much food, to how many rentals, to how many staff are needed depends on a guest count. If a client isn’t forthright on the number of guests, everyone looks bad. Clients also need to be aware the most caterers will do a head count during the event. It is also very important that clients read their contracts with all vendors before signing. You want there to be enough food, drinks, flatware, plates, tables, napkins and linens for your guests. If you run out because you didn’t give the accurate number, it not only looks bad on you as the host, but us as the caterer. We have worked very hard through the years to become the best caterer in South Florida and we want to continue giving great service and food. You want there to be enough staff to give your event great service. If there isn’t enough staff, the food may not be ready on time, there might not be enough staff to keep your venue clean, or the bartender may not be able to serve drinks efficiently. At an event last month, a client didn’t give us the accurate count and were off by about 50 people. It was very embarrassing for us, as well as the host. Caterers like myself work very hard on every aspect of your event so there’s no problems and your guests are impressed. Make sure to give the accurate number of your guests the next time you have an event. How many hors d’oeuvres per person? Generally, we plan for 2 – 4 pieces per person for a 30 – 60 minute cocktail hour. If you are having an event with heavy hors d’oeuvres for 2 – 4 hours, we plan for 8 – 10 pieces per person. An easy way to think about it is to take 12 pieces per person times the number of people divided by the number of different hors d’oeuvres. How much alcohol and mixers should I plan for? We estimate each guest will have an average of 2 drinks for the first hour and 1 drink each hour after that. A one-liter bottle of alcohol yields approximately 22 mixed drinks, so you can easily figure out how much liquor you’ll need. One 750-ml bottle of Champagne fills 6 regular Champagne glasses. Depending on your guests needs, in general guests will drink more white wine then red. But you should know your guests the best. One bottle of wine serves approximately 4 glasses. Garnishes for your drinks are relatively cheap, so always buy extras. Plan on ½ lemon and ½ lime and 2 each of olives and cherries per guest. This means if you have 24 guests, you’ll need at least 12 lemons, 12 limes, 48 olives and cherries. Plan on one and a half pounds of ice per guest. This will provide enough ice for the drinks. Add a bit more so there is enough to keep the beer and wine chilled. But to make your event even simpler, instead of taking all of this on your own, let In Good Taste Catering & Events by Stacey handle it for you! Braised Short Ribs – Your family will love you for it! One of the most popular dishes that clients ask for is our Braised Short Ribs! I wanted to share it with you so you can have the opportunity to taste this deliciousness and share it with your family. I generally serve it over either polenta or an orecchiette pasta. Salt and pepper the short ribs. Sear the short ribs in a skillet and then place in a dutch oven. Add the rest of the ingredients and cook on 275 degrees for 4 hours or fork tender. Serve with a nice demi-glace. Ours is homemade but you can purchase a nice one from The Fresh Market. Why Should You Hire an Event Planner? I have clients call me all the time that will hire my company as the caterer but doesn’t want to go the extra step to hire us for the event planning side. Clients will tell me that they have it all handled and they don’t need any help. Almost 9 out of 10 clients will tell me the day of the event that they wish they would have just paid us to handle everything else. The to-do list can be a long one to make an event a success. 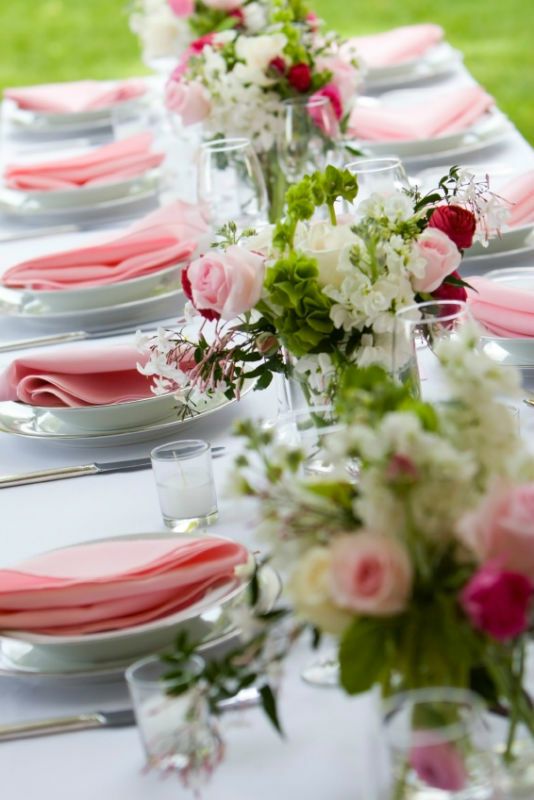 In Good Taste Catering & Events by Stacey can manage everything including: invitations, décor, seating charts, and much more. We are the experts and we have the contacts. It’ll take us a lot less time to get everything booked. You probably assume it’ll cost you more money. Once we know your budget we know the vendors who will work within those numbers. #3 You’ll have a better looking event. We are all about the details. If you have everything on your plate, you won’t be able to think how to make your event really amaze your guests. We know how to arrange tables and chairs to make the most of your space. There are plenty of other ways we will make your event look better. #4 You’ll host your event at the right place. We even know how to choose the best venue for your event. Since we’ve held events at almost every venue in South Florida we know which ones to recommend. #5 You’ll have good people working for you. In Good Taste Catering & Events by Stacey has only the best staff. Most of the employees are the same for every event and have been working for me for over 10 years. They are dedicated to making your event a great one. #6 You’ll eat and enjoy your guests. When hiring a catering and event company you’ll have more time to actually enjoy the party you wanted to have. Everything will be taken care of so you can taste the food and spend time with your guests.